Let us cater for your event with our wedding catering Bristol and area mobile catering unit. 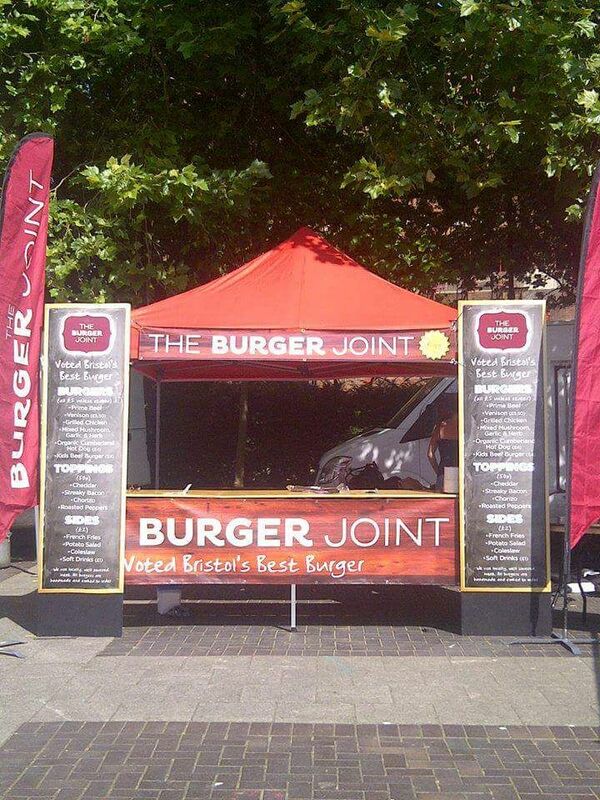 We can cook your favourite burger combos for a corporate event, wedding, party or festival. Our friendly, professional chefs and serving team will make life very easy for you. All we need is a decent power source and access to running water. While we can’t do the full range of our menu in a limited mobile unit, we can work with you to offer some amazing burger combos. Our burgers are really popular with all ages! Nothing beats eating a freshly cooked burger in the great outdoors. We bring everything guests need to enjoy their meal, including serviettes, sauces and condiments. 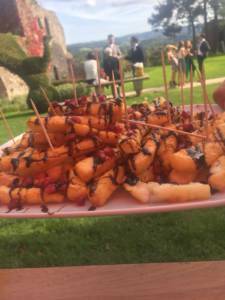 If you don’t fancy burgers, we can do outside catering too – let us talk to you about the choices on offer. Canapes a speciality! Of course, we like our food to be on the generous side so no-one is going to say they are still hungry!